Infosys Ltd (INFY.NS) cut its annual revenue growth target for the second time in three months as India’s software service exporters feel the pinch of major Western clients holding back on spending as they wait to see how November’s U.S. presidential election and Europe’s Brexit drama play out. While it reported second-quarter net profit grew 6.1 percent, the second-largest player in India’s $150 billion-plus software services outsourcing industry said on Friday it now expects revenue to grow between 8 percent and 9 percent in constant currency terms in the fiscal year through March 2017. The lowered outlook initially startled investors, sending shares more than 5 percent lower before they pared losses. Infosys had cut its guidance as recently as July, to 10.5-12 percent growth, warning in August it was seeing some “softness” after Britain voted to leave the European Union in June. Firms like Infosys and industry leader Tata Consultancy Services Ltd (TCS) (TCS.NS) depend on North America and Europe for the majority of their revenue. TCS on Thursday reported lower-than-expected revenue growth and warned clients were delaying spending. “During the course of Q2 we have seen signs of cautious client behavior,” Infosys Chief Executive Vishal Sikka said on a conference call. Royal Bank of Scotland’s (RBS.L) decision to shelve a plan to list a new bank in Britain, for which Infosys was a technology partner, also contributed to the lowering of revenue guidance, Sikka said. At 0921 GMT, the firm’s shares were trading 1.9 percent lower. Investors took the view that a sector that is a showpiece of the Indian economy is still well placed in the longer term. 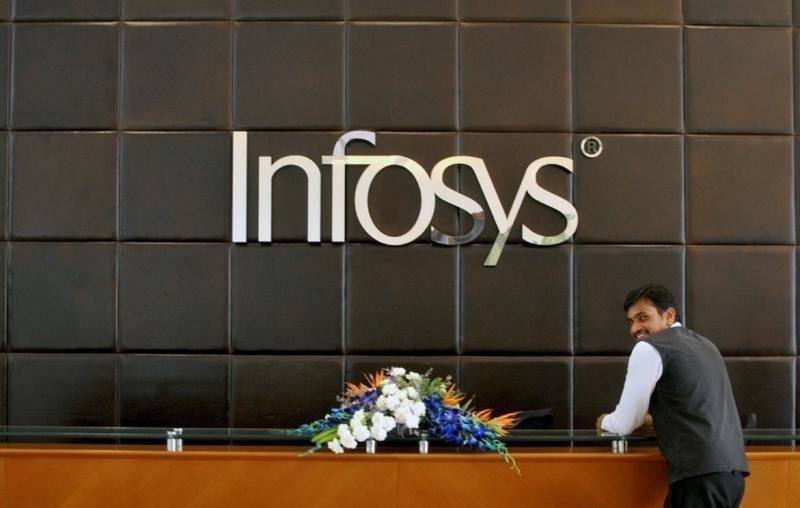 For its fiscal second quarter ended September, Infosys said consolidated net profit rose to 36.06 billion rupees ($542 million) under Ind AS accounting standards, ahead of analysts’ estimates of 35.26 billion rupees. Revenue rose 10.7 percent to 173.1 billion rupees. The company added 78 clients during the three months to September, taking its total number of active clients to 1,136.